Multiple trading assets including over 50 currencies, gold, silver, oil and indices. A fair and transparent trading environment that reduces the traders costs. A vast variety of tools to help traders make important trading decisions, from market news and analysis to trading tips and strategies. EasyMarkets operates under strict regulatory conditions and is licensed in Europe by CySEC and in Australia by ASIC. This forex broker also offers an islamic account. More information on Easymarkets.com. The FX market is a trillion dollar global market. Therefor you can profit (or lose) in rising and falling market. Volatile markets (countries) offer profit opportunities. Since 2003 this company called Easy-Forex has been currency trading in over 150 countries and specializes in online forex. Easy-Forex released currency trading as a consumer product and continues to lead with the customized technology and personal service tailored to all levels of traders, e.g. from novice to professional. As per 2016 the brand EasyForex is changed to easyMarkets. This has been done for the sole reason that not only currencies can be traded, but also commodities, stocks, indices, options and metals. easyMarkets’ brand value is PETE. This is short for Professional, Easy, Transparent, Exciting. They focus on the only person who counts: the client. You! FX market looks difficult and complicated, only for the big boys. They make is easy and accessible, allowing anyone to be part of the big game. easyMarkets feels the excitement of FX trading. They bring the excitement to you! In a competitive world they are devoted to creativity and constant innovative to increase benefit to you. Truth and transparency will always guide their behaviour. They claim not to hide anything from the clients, least of all the truth. The trading software can be accessed through the web, desktop or mobile device. A lot of features are embedded. easyMarkets MetaTrader platform is available on the PC, iPhone, iPad and Android phones and tablets. For an overview of the full features and benefits, please read the grid below. Ethan Low K.S., Pacific Ocean. easyMarkets MateTrader4 is the ideal platform for those already trading on MT4 for Money Managers, people interested in auto trading, Windows Mobile traders and those that prefer to use advanced technical analysis. As a forex trader you might be in need of some extra tools to determine trading decisions. easyMarkets is a company providing their customers forex analysis software as a free download. With this software you are able to make a technical analysis before making an order or trade. 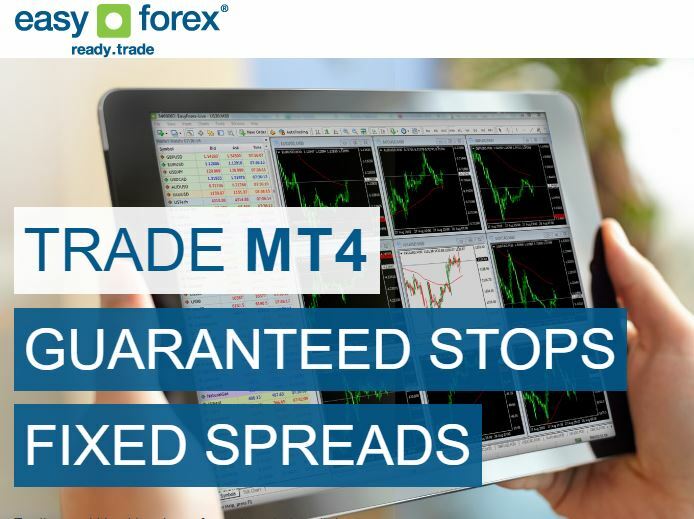 Metatrader4’s key features include 20 years historical data available for back testing Expert Advisories, 85 pre-installed indicators and analysis tools, 27 currency pairs and commodities including gold, silver and oil. Also, when trading currency pairs a leverage of 1:200 is valid. Commodities have a 1:100 leverage! Every trader has their own unique style. easyMarkets offers a range of currency trading platforms that suits any trader. Below is a quick reference guide to the different features of each of the trading platforms. easyMarkets is operating in 7 cities in the world and have offices in Chicago, New York, London, Warsaw, Limassol, Sydney and Melbourne. They are licensed by the CySEC, Cyprus Securities and Exchange Commissions and in Australia by the Australian Securities and Investments Commissions – ASIC. Signing up with easyMarkets means that you will have access to their Forex Trading Videos. The more you know about forex trading the better prepared you will be to formulate trading strategies and make informed decisions. Four modules of 10 videos are created to tech you from the basics to more advanced features of forex trading. How to use technical and fundamental analysis? One of the best things to do for yourself when you decide to trade the forex market is to learn as much as you van about this exciting and dynamic market. When you join easyMarkets you will get access to all their video modules, the eBook guide to trade forex, your own demo account to practise with and a dedicated account service manager to answer all your questions. The process doesn’t end there. As you grow as a trader you will have a personal dealer who is there to discuss the market and help you formulate your trading strategies. Webinars – Online and accessible from anywhere in the world. An ideal solution for traders learning on the fly. Online access, current topics, basic and advanced. Seminars – Meet Easy Forex in person and interact with traders like yourself looking to learn more about the forex market. Current topics, interactive learning, learn from your peers. Expos – A great opportunity to meet them as well as see why they believe the platform is the right choice for any trader. International locations, fun giveaways, well known venues. Forex is an exciting and compelling market offering a high risk / high reward ratio. Easy online access means people can sign up, deposit by credit card and start trading in just minutes. When they set up easy-forex in 2003, they were a pioneer in online trading and revolutionised currency, commodity and equity trading in over 160 countries. Since then, online trading has grown into a massive industry with hundreds of thousands of people looking to get into the market. For over ten years easyMarkets‘ purpose has been to create simplicity in an industry dominated by complexity. Everything done revolves around creating a trustworthy, easy and unique environment for all types of traders and really focus on what matters most to them: catching the next trading opportunity! 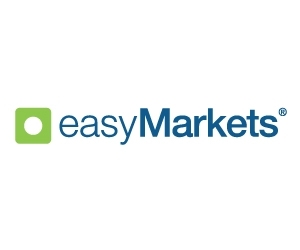 easyMarkets operates under strict regulatory conditions and is licensed in Europe by CySEC and in Australia by ASIC.